Dealing with anxiety makes different aspects of your life harder than most. Making friends seems almost impossible, and trying to explain to your friends why you don’t want to go out is almost always a fight. But what about the romantic side of your life? Dating is hard enough as it is, dating with anxiety is arguably worse than stabbing yourself in the eyes. In order to date someone, you have to meet them. When you have social anxiety, meeting new people physically hurts, and it’s really hard to be yourself. I can’t just go out to a bar and say hi to someone who I think is cute, and if someone comes up to me to talk, most of the time I become anxious and walk away or leave the bar. Another way to meet someone new is through mutual friends. Meeting someone through a friend I am already comfortable with is a lot easier, because I know I have something in common, even if it is just that one friend. Sometimes it works out really well, and sometimes I end up comparing myself to my friend. If they already have inside jokes then I’m totally screwed. I can’t compete with inside jokes, especially when it comes to dating with anxiety. So, I finally meet someone, and we’ve talked a little bit. I’m comfortable texting them, and am ready for a first date. But because I am dating with anxiety, one-on-one encounters scare me to the point of tears. I have literally cried before dates in the past. Even though I like talking to someone, being in a romantic situation is completely different. The strange thing about anxiety is that I know I like this person, and I know I want to be around them, but my mind won’t let me be myself. I have to force myself past the point of being uncomfortable to actually get to know them, and for them to get to know the real me. I used to try to hide the fact that I was anxious and tried to avoid it because I thought it made me look crazy and weak, but as I grow older, I am more open about it, and tell people so they understand why I act the way I do sometimes. It doesn’t make it much easier, but it helps a bit. When I find someone to calm that fear and anxiety, I will be sure to hold onto them. Is he going for the kiss now? Which way do I turn my head? Do I use tongue (sorry mom)? Is my nose squishing into his face? Are his eyes open? Should I open mine? Can he breath like this? Where do I put my hands? When will he pull away? Should I pull away first? At this point, we’ve most likely established ourselves as a couple. I got past the first kiss, and I’m comfortable enough with this person that we call ourselves a couple. My partner knows about my anxiety. I’ve been to my partner’s place before, so I know their roommates and friends, and I get along with all of them. Then, my partner asks me to stay the night. We hang out and watch a movie, have dinner, and it starts to get late so I get ready to go to bed. One of the main things that is hard is just sleeping. I’m constantly worried that I’m taking up too much of the bed or hogging the covers. My thoughts become so loud that it’s impossible to fall asleep. Eventually, I hopefully get to sleep. When the next morning comes, I wake up, and my partner leaves to go get breakfast. I lay there in bed having to pee, but I can’t move. I’m scared, and I feel like I can’t breathe without everyone hearing me. So I lay there hyperventilating and crying until my partner returns. Even when my partner gets back, I still can’t move. Not only am I still scared, but I’m embarrassed that I laid there, crying and holding my pee, for 45 minutes. This has happened to me twice: once for about 45 minutes with a new boyfriend, and the second for about 8 hours with a guy I had been dating for almost a year. All because of dating with anxiety. Arguments can be a big anxiety trigger. 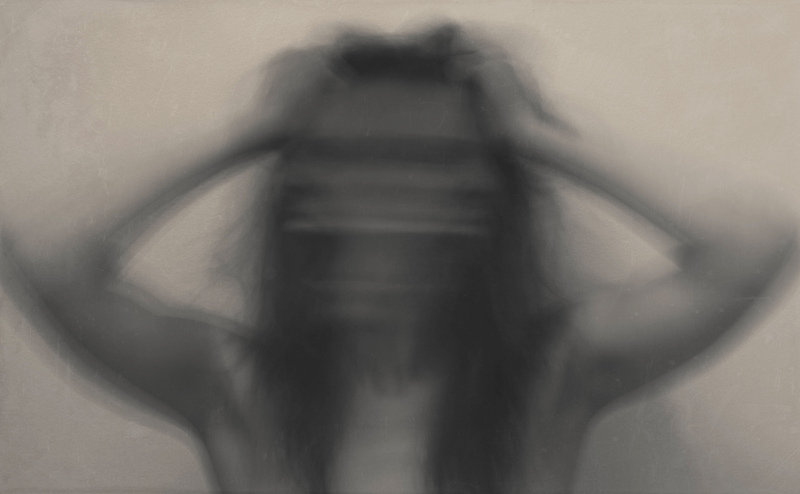 One thing about anxiety and depression is that I feel helpless, weak, and crazy. It’s really hard getting past those thoughts in my own mind, but hearing someone else say them takes it to a whole new level. Anytime I’ve ever been in an argument with a boyfriend, one of their favorite things to say is “You’re crazy.”Everybody knows how arguments go: he said she said, and no matter who is actually right, you are always crazy. Those two little words send me from like a three or four on the anger scale, to like an eight. They cut so deep. Saying those words, whether we’re fighting and my partner is just saying them to piss me off, or they actually mean them, can ruin me for a few days. Part of the reason these words hurt so bad is because I feel crazy, not being able to go out to a bar, or meet new friends, all because of my mind. I’m so terrified of actually being crazy. Those words aren’t just a weak insult; they hurt, and can really mess someone who’s dating with anxiety up. One thing about having anxiety is once you feel comfortable with someone, you will forever. I dated someone for three years and still wasn’t 100 percent comfortable with them, and most of the time you never will be. At some point, though, you may find someone you are comfortable with. Once you get past the first dates and the fights, you learn how to deal with your partner, and they learn about you. Incidentally, if you let yourself fall in love, you will love harder than most. That connection for me is rare, being able to let someone in, knowing that they understand, and loving them with everything in me. Dating with anxiety has its drawbacks, but it’s not impossible to find a partner who can come to understand your needs as a person living with anxiety. And to be honest, it’s better to be yourself and find someone who makes you feel comfortable then to hide something about yourself that plays a big role in your everyday life. It may be scary to open up and let your partner see who you really are, but in the end, if the person really is crazy in love with you, they will help you navigate your anxiety rather than chastise you for it.